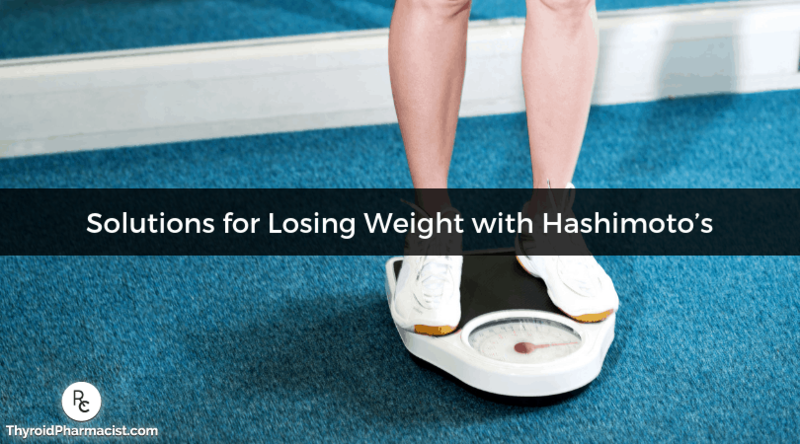 Like many people with Hashimoto’s, I have dealt with unwanted weight on my road to healing. Because thyroid disease damages the thyroid gland and affects the output of thyroid hormone—an important hormone in regulating the metabolism—it‘s no wonder that so many people with thyroid conditions have trouble losing weight. It’s even more frustrating when you continue to gain weight even after taking thyroid medication. Dialing in the right T3 and T4 medications and getting accurate lab readings to determine your TSH levels are important steps towards addressing the root cause of this sudden change. Yet, sometimes we need to look beyond our thyroid medications for other factors that might be causing our bodies to hold onto excess weight. Everyone with Hashimoto’s suffers to some extent from intestinal permeability, which will cause a host of symptoms, including weight gain. Addressing diet and gut health is one of the most important factors in healing from Hashimoto’s and finding a healthy weight within your own body. The first thing to consider is, what diet are you currently following? The Standard American Diet (S.A.D.) is loaded with sugar, simple carbohydrates and processed foods that easily lead to weight gain. Additionally, research is showing that people who are overweight have an imbalance of bacterial flora in their intestines. One of the surprising reasons why people hold onto excess weight is because they are malnourished. It may seem counterintuitive that a person who is overweight would be nutrient deficient or malnourished, however, the body needs more than just calories. It requires a large variety of micro-nutrients to thrive. Proper nutrient status depends on one’s intake of nutrient-rich food and one’s absorption of the nutrients from the food. Unfortunately, intestinal permeability and multiple food sensitivities, which are commonly seen in those with Hashimoto’s, can contribute to nutrient depletions. Without sufficient nutrients, your body may sabotage your weight loss efforts by slowing down your metabolism and hoarding excess weight, as it’s not receiving the nutrition it needs to thrive. It can also cause you to have cravings or feel hungry, even when you have had enough to eat. Food sensitivity testing, or elimination diets, will also help you get to the bottom of any food intolerances and tailor your diet to one that will reduce inflammation, heal your gut, and allow your body to absorb the nutrients it needs. Another factor that can affect your weight is adrenal health. Just like everything else, cortisol, your stress hormone, needs to be in balance. Too much, and you store excessive belly fat; too little of it, though, and you can feel extremely fatigued. If you have chronic stress, your body will eventually be unable to produce enough cortisol. When you experience stress, your body goes into “fight or flight response” mode, pumping your body full of adrenaline to prepare it to survive what your body perceives to be a life-threatening event. The goal is to bring your body back to the “rest and digest” stage, so it can actively repair and heal itself. Rest – Aim to get at least 7 hours of sleep each night and go to sleep before 10 pm. Avoid burning the candle at both ends, and be kind to your body to give it time to heal. Non-strenuous physical exercise – Gentle physical activities like yoga are a great way to relieve stress and boost endorphin (“feel good” hormone) levels. Adrenal adaptogens – Adaptogenic herbs, like ashwagandha and rhodiola, which are found in many adrenal support supplements, can help the body cope with stress and relieve adrenal dysfunction. B vitamins and vitamin C – These vitamins become depleted during high cortisol production and have been linked to decreased adrenal function in animals and humans, so replenishing your stores can help restore adrenal health. Meditation, massage and acupuncture – These therapies can help get you feeling relaxed! Journaling – Being mindful and making a gratitude journal, as well as a list of what makes you feel better and what makes you feel worse, can help you identify and reduce your stress triggers. You can also strengthen the adrenals by balancing blood sugar levels with a diet rich in whole foods. This can balance cortisol levels, which in turn, will reduce food cravings and help regulate your metabolism and control weight gain. It can be easily overlooked, but an impaired ability to detoxify is almost always present with Hashimoto’s and can cause weight gain, among many other symptoms. Diet – Many foods, such as gluten and dairy, can be processed as toxins by the bodies of individuals with thyroid disease who tend to experience higher levels of food sensitivities. This can overburden the liver, inhibiting it from processing food for fuel, storing and creating essential nutrients, and converting excess hormones in the body. Environmental Toxins – Pesticides in the foods we eat, fluoride in our water, toxins in our beauty care products, and pollutants in the air all contribute to an overburdened liver that cannot perform its basic functions. Lack of Nutrients – Because the liver is involved with so many chemical reactions, nearly all nutrients essential to the body are essential to the liver. However, many people, especially those with thyroid disease, can be lacking in key nutrients because of an impaired gut. These key nutrients include magnesium, selenium, zinc, vitamin D, vitamin B12, and folate. However, it’s important to support the liver, as it is a key player in nutrient status. In fact, the liver is the organ that processes the nutrients we absorb from the small intestine. Again, many people with an overburdened liver due to an overload of toxins—which is most of us!—will have trouble losing weight because they are not able to properly process and absorb the nutrients they consume. That’s why optimizing liver health is important. In fact, liver health is so important to weight loss that 38 percent of my readers reported improvements in weight status with using liver support! 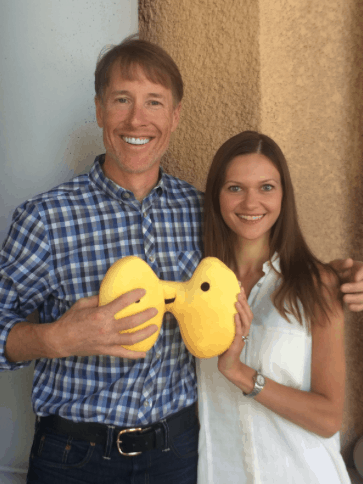 I was excited when I learned that my good friend, Dr. Alan Christianson, was releasing a new book written to help people with thyroid conditions, diabetes, and numerous other conditions boost their metabolism, as well as bring their weight and their health back into a thriving state. Dr. C, as he is affectionately called by patients and colleagues, has been someone who has had trouble with excess weight — and he is a person whom I deeply trust on this subject. The Metabolism Reset Diet is a new approach because it addresses one of the root causes of a slow or inflexible metabolism—an overloaded liver. What happens when your liver is unhealthy? You tend to store fuel as fat, especially around your midsection, and you can no longer tap into the nutrients you need to burn fat. This means that no matter which diet you choose—and how hard you try—weight loss is extremely difficult. Excess fat trapped in the liver can lead to leaky gut, irritable bowel syndrome (IBS), and other intestinal disorders. The Metabolism Reset Diet is designed to help the body remove most of the trapped liver fat in 28 days. Your liver needs nutrients from your diet to help it get rid of the extra fuel it has accumulated. The Metabolism Reset Diet is carefully constructed to provide your liver the nutrients it needs without giving it more fuel to deal with. Dr. Christianson’s program includes an easy plan that offers healthy amounts of protein, fiber, micronutrients, and phytonutrients that support liver function. It provides adequate nutrients to prevent deficiencies, while still prompting the liver to use its own supplies of stored fuel. The program is highly adaptable, with options that will work with any budget and diet, including Paleo or Autoimmune Paleo diets. The recipes are family-friendly, and the foods are easily found in your local grocery store. I highly recommend picking up a copy of The Metabolism Reset Diet as part of your journey to supporting your liver, losing excess weight, and finding healing from thyroid disease. P.S. For continued updates, please become a part of our Facebook page. I love interacting with our readers! Also, be sure to sign up to my weekly newsletter to get a free book chapter from my first book, recipes, a Thyroid Diet start guide, and notifications about my latest research. My doctor said that the medication is the only way for me to treat hypothyroidism and that my thyroid gland is not even working to begin with and said there is nothing i can do to help repair my thyroid glands. I wanted to hear your opinion on this. I have been trying to lose weight for quite sometime. I have tried Keto diet as well which didn’t work out. It’s been a constant struggle despite doing cardio workouts. Would you recommend a low carb diet at all? When it comes to weight gain these are a few things to think about. 3) What type of diet are you eating? Some report more weight loss with T4/T3 combination vs T4 alone. Some do not convert T4 properly. The Standard American Diet (S.A.D.) full of sugar and simple carbohydrates is perfectly designed to cause us to gain weight year after year. Even yogurts that are marketed as “healthy” contain the equivalent of 16 teaspoons of sugar. Divorcing the S.A.D. is often a step that many of us must take to not just lose weight, but to also feel better. Some diets that have been helpful include the Body Ecology Diet, the Paleo Diet, the Virgin Diet, Autoimmune Paleo Diet, GAPS diet, SCD diet, Weston A. Price Diet, or the Mediterranean Diet. You may need to modify these diets to your own individuality. I often have people play around with their fat to protein to carb ratios to find what fits them best. Some people (especially if they’re more active) will benefit from more proteins. Others benefit from more fats, such as those with brain fog, pain, and depression. Some may even benefit from ketosis. Personally, for me, lower carbs, higher fats, and ketosis made me feel amazing for a couple of years until I hit a plateau and then needed to add back more carbs to feel my best. The bottom line is that you have to adjust the diet to your needs and your needs may change! Here are some articles I hope you find helpful as well. I am following your Hashimoto protocol (I have 2 more weeks to go) and still get a stomach ache and fatigue after meals. Especially fermented foods give me a stomach ache. Also I am not losing weight. Am I doing anything wrong? How does the reintroduction of food work after the protocol? Susanna – thank you for reaching out. For questions about the protocols please email my team at info@thyroidpharmacist.com and they will be happy to help. We know that intestinal permeability (aka leaky gut) is present in every case of autoimmunity and often precedes the development of Hashimoto’s. Symptoms of leaky gut may include bloating, diarrhea, constipation, stomach aches, acid reflux and irritable bowel syndrome. According to the Institute of Functional Medicine, many people develop IBS 5-10 years before an autoimmune diagnosis. I was one of them and didn’t take my gut health as seriously as I should have. Gut problems are often caused by infections like H. pylori, parasites like Blasto, SIBO, an imbalance of bacteria, and enzyme deficiencies or food sensitivities (especially to gluten, dairy, and/or soy). Even stress can be a factor in gut permeability. Here is an article you might find interesting. Dr. Wentz, I know omega 6 fats cause inflammation, but would a organic non GMO CLA safflower oil supplement be harmful? I’m looking to loose weight an I know CLA can be beneficial. The suppliment I’m considering is Naturwise CLA. Meridith – thank you for reaching out. <3 I am not able to advise on whether this safflower oil supplement would be appropriate for you and your specific health needs without a comprehensive health assessment. I recommend that you discuss this with your personal doctor. Someday I hope to be able to afford your books. On top of having hoshimoto thyroditis and hypothyroidism, I also have gastroparesis and I am struggling hard to take the 15 pounds off for my gsstric bypass. I am extremely frustrated being that there are so many diseases that run in my family from heart disease to cancer to stroke..you name it. I am trying so hard to get healthy but nothing seems to work. The only e ercise I can do since I hVe a series of back related disorders is walking. I am currently in search of a good beginners walking program on the internet. Susan – thank you so much for reaching out and sharing your journey with me. <3 You may want to ask your local library if they can stock my books for you! 3) What type of diet are you eating? Some report more weight loss with T4/T3 combination vs T4 alone. Some do not convert T4 properly. The Standard American Diet (S.A.D.) full of sugar and simple carbohydrates is perfectly designed to cause us to gain weight year after year. Even yogurts that are marketed as "healthy" contain the equivalent of 16 teaspoons of sugar. Divorcing the S.A.D. is often a step that many of us must take to not just lose weight, but to also feel better. Some diets that have been helpful include the Body Ecology Diet, the Paleo Diet, the Virgin Diet, Autoimmune Paleo Diet, GAPS diet, SCD diet, Weston A. Price Diet, or the Mediterranean Diet. You may need to modify these diets to your own individuality.